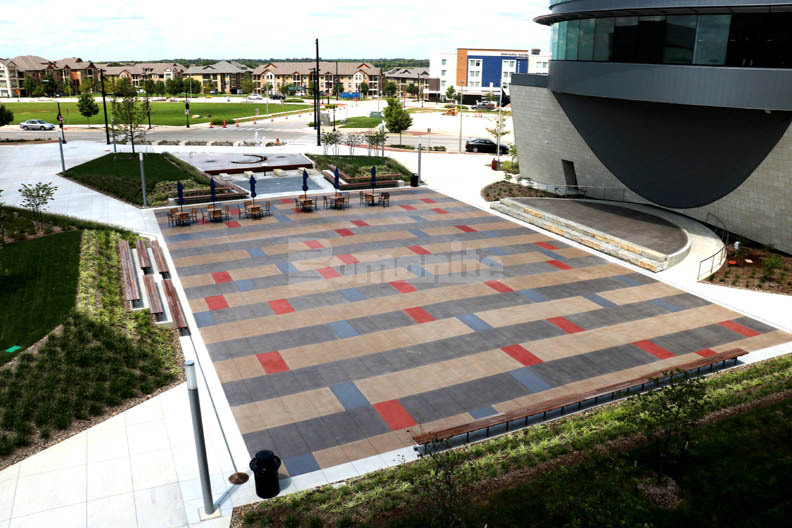 Lenexa City has developed and opened a 300,000 plus-square-foot mixed-use campus, that includes a new City Hall, Park University, a Public Market, and a community Rec Center along with public gathering spaces. 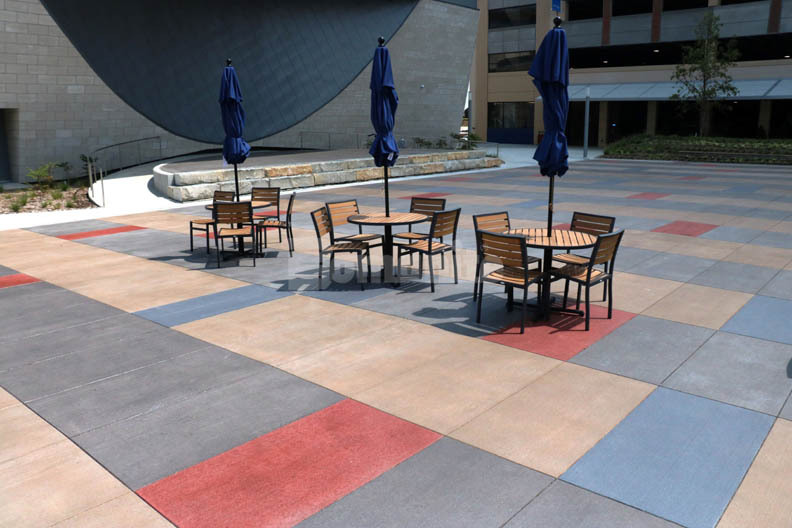 Bomanite Licensee, Musselman & Hall Contractors, had the opportunity to work with PGAV Architects and Plaid Collaborative on the design of the pedestrian plaza as part of the Civic Center. 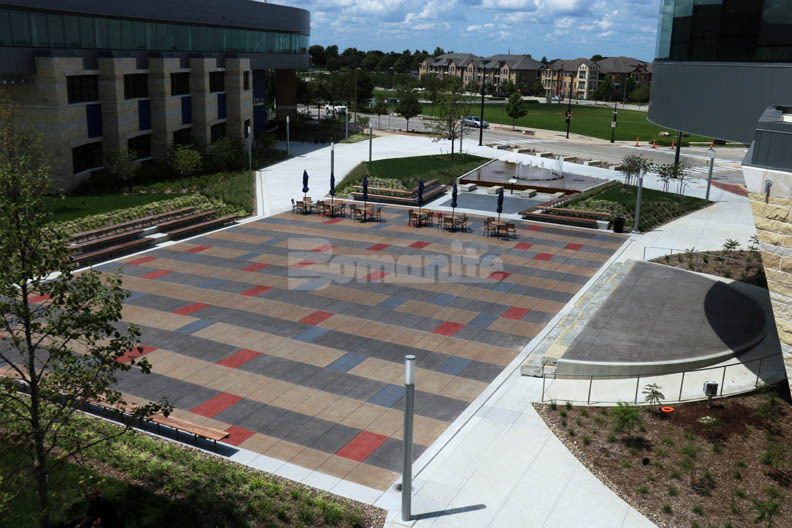 PLAID collaborated worked with the City and PGAV to design outdoor spaces to express as they noted a “prairie deconstructed theme, which embodies the spirit and character of the native prairie (landform, geology, and vegetation) and the history of Lenexa in a contemporary, sustainable, and sophisticated motif.” The three primary outdoor spaces created were the Festival Plaza (a large plaza for public gatherings and celebrations), the Vista (a space for activities that support the adjacent community recreation center and farmers market), and the Strata (a collection of intimate spaces for City Hall and public market patrons). The idea was for each space to have different uses, different scale and configuration but a common pallet of materials, furnishings, and details were woven through the design to complement the building architecture, provide visual continuity, and reinforce an overall sense of place. 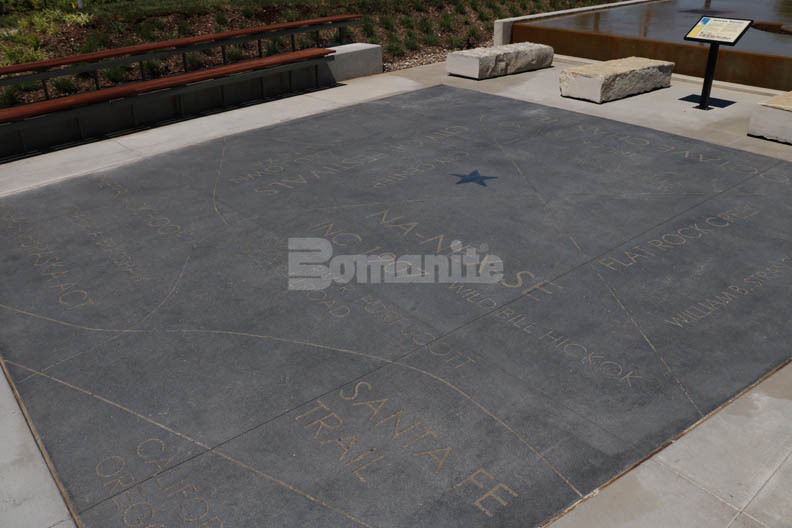 Lenexa Civic Center outdoor spaces were designed with Bomanite Alloy to add a sparkle to the history nodeThe center piece of the project was the 700 square feet History Node. 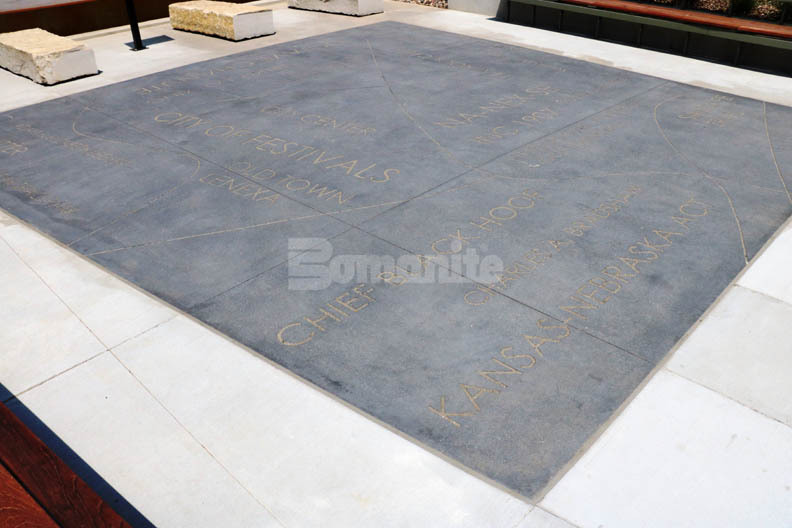 The Bomanite Alloy Exposed Aggregate System in Natural Gray was chosen for this portion of the plaza, installed, and then engraved with 23 significant names, dates, and events unique to the history of Lenexa. The text was of varying scale from 4” to 9” tall. Layout and execution was critical, and accuracy was of the utmost importance.